Well I seem to have my reading mojo back. This has been a really good prompt for me to get back into reading and I’m enjoying it thoroughly. So March included The Snow Child, Raven Black, Tales from the Secret Footballer and The Vanishing Act of Esme Lennox. Phew! I don’t know how I did it. I loved the Snow Child – recommended by so many bloggers but especially Sarah. The descriptions of the inhospitable Alaskan winters and the hope that the child brings to Mabel and Jack in times of despair I found incredibly moving. 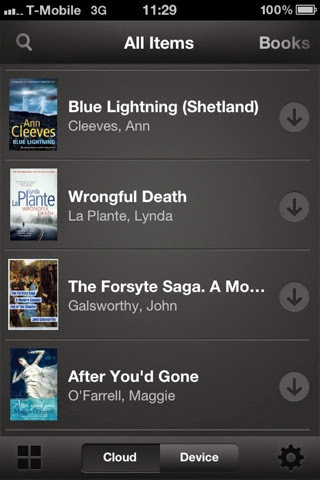 How had I not come across Ann Cleeves before? I’ve not been watching Shetland on TV (but I’ll be catching up on iplayer when I’ve read the books!) but I thoroughly enjoyed the first book. The close, small community where everyone knows everyone else’s business and the prejudice against those that are outsiders even though they’re from within. Gripping stuff. So much so I’ve now bought the remaining 4 books for my kindle and will be attacking (unfortunate turn of phrase given the subject!!) one of those in April. The Vanishing Act of Esme Lennox was read almost in one sitting with the majority overnight as I listened to a small child cough. Incidentally, the small child was asleep….but I wasn’t! Was I waiting for her to wake up so I could administer calpol or just so I could read? Anyway…another amazing story. This took me back to my GCSE RE class where every Christmas we would make cards for the long term in-patients at the local psychiatric hospital. In the last year we went to visit the patients and hand out the (much appreciated) cards and presents. It was the first time that I’d realised many of the elderly patients had been ‘locked up’ for so many years on extremely flimsy (by modern standards) reasons, many for having epilepsy for example. Anyway I’ll be returning to Maggie O’Farrell again very soon! My final book of the month was Tales from the Secret Footballer. An easy read that you can dip in and out of. The author is extremely scathing of how football is and how it didn’t help him with his (and others) mental health issues. An interesting read. And yes I did spend the next hour attempting to finds out who it is. The ABO and I have narrowed it down but we don’t know for sure….yet. So I’m not expecting April to anywhere near as prolific as March. Now the ABO is at home and not away I might spend some of my evening talking to him rather than only reading. I’m starting with the second on the Ann Cleeves Shetland series and moving on to another crime favourite Lynda La Plante…how I missed an Anna Travis novel Wad published I don’t know. Joining in with Laura at circleofpinetrees. I've really found reading again so enjoyable (and addictive). April might not be quite so productive but you never know! These all sound like great choices, though I've not read any of them myself yet. I'm glad you liked Snow Child, one of my favorite books of the past few years. I'll let you know how I get on with them...we'll see if I have so many books ticked off in April. I loved the Snow Child and cant stop recommending it to everyone! Vera was really good on TV I agree but haven't read those either! I also like Mark Billingham - his books have been made into TV with David Morrissey as Tom Thorne. Also very good. Goodness, you've been blasting through the books! I on the other hand still haven't finished my choice for March ... oops! I loved the Vanishing Act... too. It's my favourite O' Farrell, I think.